Not only are more consumers using health clubs—they’re starting to visit a number of clubs to achieve their goals, according to the IHRSA Health Club Consumer Report. So suggests the first page of the 2018 IHRSA Health Club Consumer Report, which is based on nearly 31,000 interviews conducted in 2017 by Sports Marketing Surveys, Inc., a research firm based in Jupiter, FL. It’s no surprise that this annual publication is one of IHRSA’s perennial best-sellers—in order to attract, serve, and retain consumers, club operators first need to understand them. 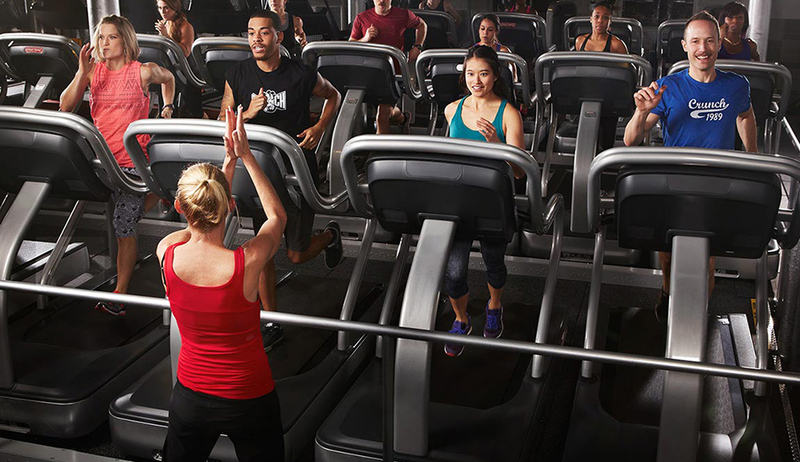 Treadmills are still the biggest draw to a health club. Some basic facts: U.S. club membership totaled 60.9 million in 2017, up 6.3% from 57.3 million in 2016. Another 9.1 million nonmember consumers reported using a club at least once during the year. In all, clubs attracted more than 70 million consumers, a record high since IHRSA first began tracking club consumer statistics in 1987. How old are club members and nonmember users? What’s their household income and educational level? What type of facilities are they visiting—commercial, nonprofit, corporate, or studios? How much are they spending on membership, and how long do they remain members once they join? What activities are they pursuing inside their club? How many are investing in personal training? How does the generation they belong to affect their club behavior? Melissa Rodriguez, IHRSA’s senior research manager, considers the Consumer Report an “indispensable” resource for club managers, program directors, and suppliers. The report notes that a few years ago a rather fascinating new trend began to emerge. A significant number of members began to shift from making use of a single club to utilizing a number of clubs in order to pursue and achieve their goals. In 2017, nearly one-quarter (23%) of them indicated that they frequented more than one club—the highest percentage recorded over the previous five years. The likelihood that someone would sample the offerings of more than one provider was highly dependent upon the type of facility they belonged to originally. Fitness-only clubs enjoyed the highest level of member commitment, with just 25% reporting that they also worked up a sweat elsewhere. By way of contrast, 90% of the clients of boutique studios sampled the offerings of other providers. Millennials and the younger members of Generation X are most likely to find the notion of multi-memberships appealing, while, conversely, Baby Boomers and members of the Silent Generation are significantly more likely to conclude that a single facility meets their needs. 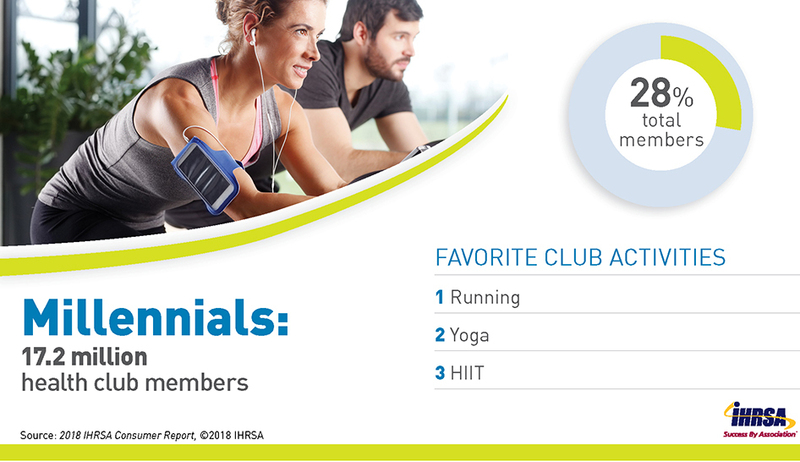 The IHRSA Health Club Consumer Report examines the habits of every club’s most important customer—the core user, the person who makes use of their facility at least 100 times each year. These individuals are the most likely to remain members, and, given the frequency of their visits, tend to spend more on additional, nondues-revenue services. In 2017, 47% of members qualified as being core users, two percentage points lower than in 2016, but relatively consistent with the trend for the past five years. Again, the type of facility was a factor in determining the results: fitness-only clubs had the highest level of core users (53%), and boutique studios the lowest (28%-38%). These numbers make sense, given the fact that the vast majority of the clientele of boutique studios belong to more than one facility. A demographic factor that, predictably, appears to impact the percentage of core users is household income (HHI). Members with an HHI of over $150,000 are more likely to be core users than those in other income brackets. One out of five Americans ages 6 and older belonged to a health club last year. More than 60 million belonged to a club, representing 20.3% of the total population, ages 6 and older. Overall, health clubs garnered a lot of interest among consumers last year. They attracted a total of 70.3 million consumers—including both members and nonmembers—in the U.S. The average annual household income (HHI) for club members was $80,300 in 2017, consistent with recent years. Approximately two out of five club members come from households with an annual income of at least $100,000 (41%). On average, members attended a health club 98 days in 2017. Members between the ages of 35 and 44 used a club most frequently—an average of 113 days—while the under-18 age group used a club the least often—an average of 64 days. Consistent with historical trends, treadmills remained the No. 1 attraction at clubs, claiming utilization by 43% of total members. Resistance machines were second, attracting usage from 35%. Roughly 14% of health club consumers used a personal trainer in 2017. A slightly greater share of female consumers (16%) used a personal trainer than male consumers (13%). Roughly 27% of health club consumers engaged in small-group training in 2017. Approximately 28% of female consumers engaged in small-group training, while 26% of male consumers utilized small-group training. Core club members, who used their club at least 100 times in 2017, accounted for nearly 47% of total members. The level of core members varied by facility type. Full-service clubs, such as multi-purpose and fitness-only facilities, attracted a greater share of core members than boutique studios. 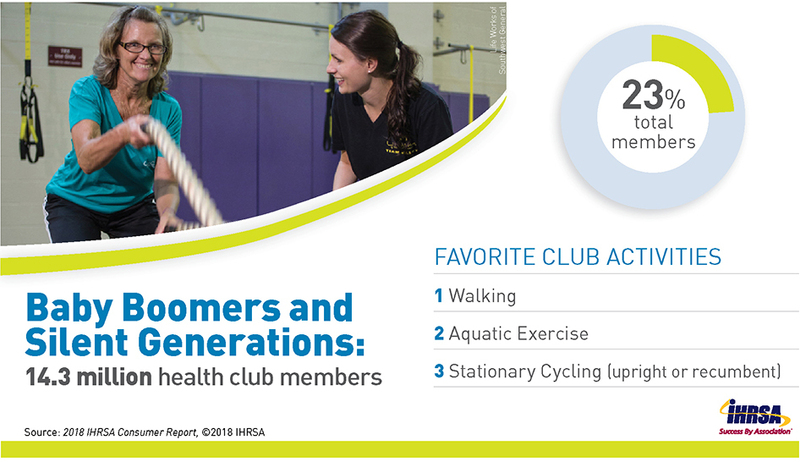 The average duration of a health club membership was 4.9 years, and older members stayed longer than younger ones. The 65-plus age group indicated that they were members for an average of 7.3 years, while the 18-24 age group indicated that they were members for an average of 2.8 years. More than one out of five members belonged to more than one club (23%). Members of boutique studios were more likely to belong to more than one than members of full-service facilities.